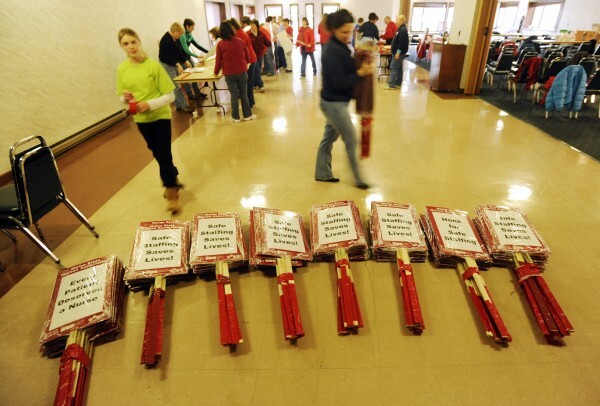 Nurses from Eastern Maine Medical Center in Bangor prepare picket signs in the basement of the Bangor Motor Inn on Saturday. The group has been locked out of the State Street hospital and will picket the campus on Monday. Jill McDonald, Vice President of Communications at Eastern Maine Medical Center. Paul Bolin, Human Resources Director at Eastern Maine Medical Center. 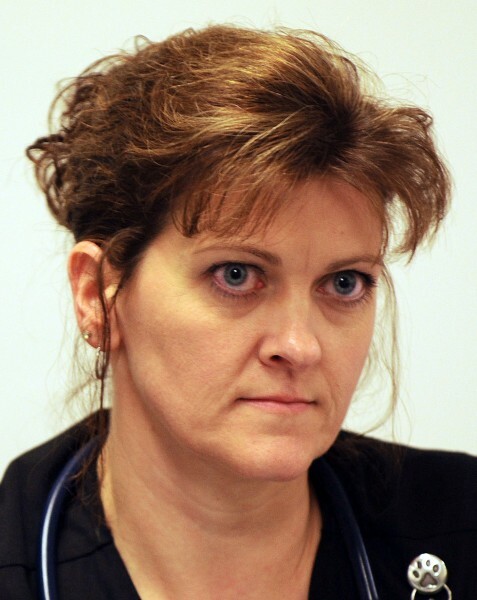 Brenda Joslyn RN, Manager of Nursing Services at Eastern Maine Medical Center. Dr. 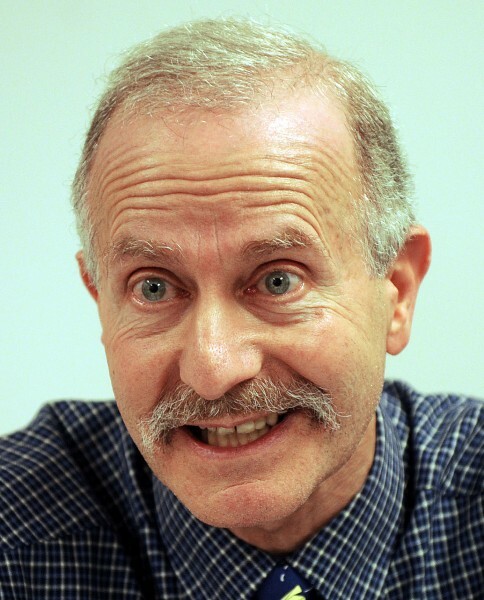 Norm Dinerman, emergency room physician at Eastern Maine Medical Center. BANGOR, Maine — A group of Eastern Maine Medical Center nurses — some dressed in their work scrubs — showed up for work early Saturday morning even though they had received a notice saying they would not be allowed into the hospital. The nurses, who plan to hold a one-day strike on Monday to push for changes in patient-to-nurse staffing levels and other items in their pending three-year contract, were told not to come to work and to stay off hospital property on Saturday and Sunday. The letter states that “any nurse on the property before Tuesday would be charged with trespassing,” a 19-year veteran EMMC employee from Glenburn said. The two nurses, who asked not to be identified by name, joined 100 or so other union nurses and their supporters and lined the sidewalk Saturday morning to support fellow nurses who worked the overnight shift, which is the last EMMC-nurse manned shift before the two-day lockout and Monday’s strike. EMMC hired 215 replacement nurses to fill their shoes during the three-day work stoppage, which began at 7 a.m. Saturday and runs until 7 a.m. Tuesday. “What was really hard for us was leaving our patients yesterday and knowing we would not be back to care for them,” Cokie Giles, president of the Maine State Nurses Association who has been an EMMC nurse for 22 years, said surrounded by her fellow nurses. Jill McDonald, EMMC spokeswoman, said no one was arrested for trespassing Saturday morning and that the transition with the replacement nurses was well organized. 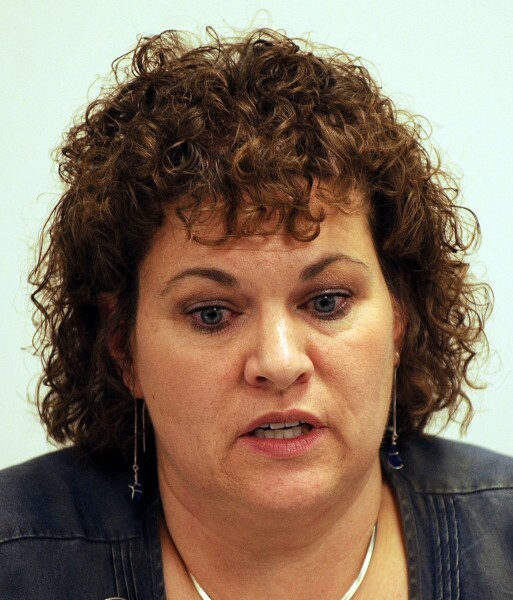 At a 1 p.m. press conference, Brenda Joslyn, nurse manager for CancerCare of Maine, said that “the agency nurses … jumped right in and” are doing a good job. Of the 1,000 or so EMMC nurses, only 830 are union members, McDonald later added. Norm Dinerman, attending physician in the emergency room, said a handful of patients were transferred to other facilities before the replacement nurses began working on Saturday, and that EMMC is partnering with other health care facilities in the region to ensure patients get the care they need. “St. Joseph’s has been fabulous,” he said, thanking all agencies that have stepped forward to lend a hand. The hospital stepped up security in parking areas and at the hospital entrance, requiring all who entered to be screened. “We felt it was prudent” to ensure there was no disruption in patient care, said Bolin. When asked who was being stopped by the screeners, he said, “the nurses who are on strike,” referring to those who are locked out on Saturday and Sunday and who plan to strike on Monday. EMMC officials contacted Penobscot Regional Communications Center on Friday and asked that ambulance calls to the state’s second-largest hospital be diverted before the lockout Saturday, according to Tracey Erickson, a PRCC supervisor. Such diversions are not uncommon in situations of reduced staff or a full hospital, according to Suzanne Spruce, Eastern Maine Healthcare Systems’ community relations director. Bangor Fire Assistant Chief Rick Cheverie said Saturday afternoon that the lockout has not caused any issues for his department’s ambulance service. “As far as I know, it’s business as usual for us,” he said. An inspector from the Maine Department of Health and Human Services also inspected the hospital on Saturday “because we’re in an unusual situation,” said McDonald, adding that the inspector left without any comment. The hospital has declined repeatedly to provide cost figures for hiring the replacements, but officials have said they created cost efficiencies by hiring the replacements for three days instead of Monday only. Contract negotiations between the 830 EMMC union nurses and hospital administrators that began in July stalemated over several key issues, the biggest being nurse-to-patient staffing levels, but health in-surance and job protection are among others. Hospital administrators maintain that staffing levels are adequate to ensure patient safety and that staffing decisions must remain in the hands of managers and administrators. 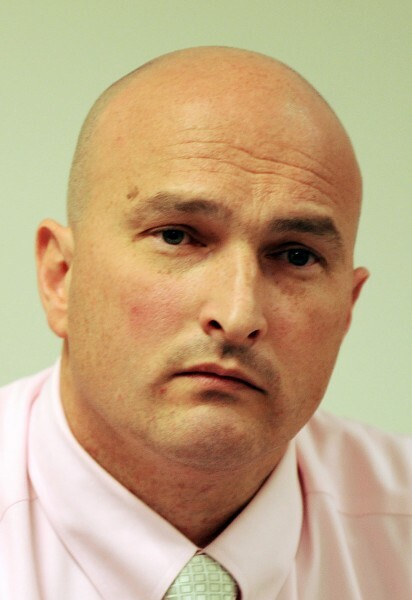 Members of the Eastern Maine Labor Council, the Maine AFL-CIO, state legislators, a newly elected Bangor City Council member and at least one Bangor firefighter stood with the nurses on Saturday. “I’m on the side of the patient,” he said. Sarah Bigner, a staff member of the Maine AFL-CIO, said the organization and fellow union members support what the nurses are doing. “We’ve very proud of the nurses for standing up and being strong in the face of a very tough hospital administration,” Bigner said. Maine AFL-CIO members, including president Don Berry, will be on hand Monday during the strike, she said. After the last of the EMMC overnight shift nurses left work Saturday morning, the crowd of support-ers stopped for a moment of silence. 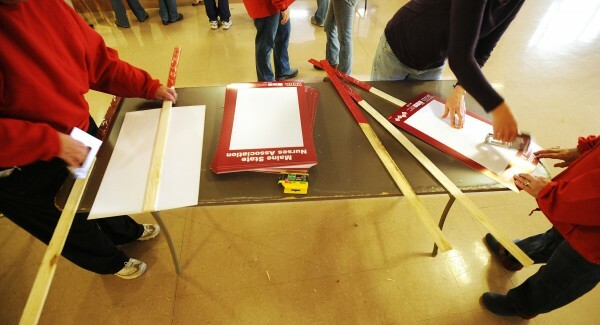 Locked-out nurses gathered later Saturday morning at the Bangor Motor Inn to organize and prepare picket signs for Monday’s strike.